A terrible truth has been revealed to one man: the entire human race has been drained of every emotion except one– fear. To bring life back to the world, Rom must embark on a journey that will end either in his own demise or a reawkening of humanity. But to bring love and passion back into existence will also threaten the powers of the world with the revolution and anarchy that had nearly destroyed them previously. After happening upon a journal through strange circumstance, Rom’s world is shattered. He learns that humanity long ago ceased to “live,” that it exists today in a living death of emotions. In a terrible risk, Rom exposes himself to the vial of blood folded into the old leather of the journal. His change is fearful and fraught with mind-bending emotion. A once-pious observer of the Order’s passionless statues, he is filled with uncontrollable impulses. He is filled with love. He is undone, terrified, and alone in the desolate world. My supply of Christian fiction has sort of run low ever since I started reading more YA books, so new books from my favorite Christian authors are always exciting and squee-worthy. One of the dream team-ups I had ever since last year when the news went out was Ted Dekker and Tosca Lee, and I have waited with anticipation over this book, Forbidden. Imagine my excitement when I saw that the book was available in Netgalley. In the year 2005, geneticists discovered that there is a certain gene in our DNA that controlled the emotion of fear, further leading to the discovery of other genes that control other kinds of emotions. After a war that devastated the world, humanity vowed to destroy everything that led to that war, particularly the emotions that come with it — love, joy, passion, anger, hatred, sorrow. Out of all emotions, only fear was allowed to survive. 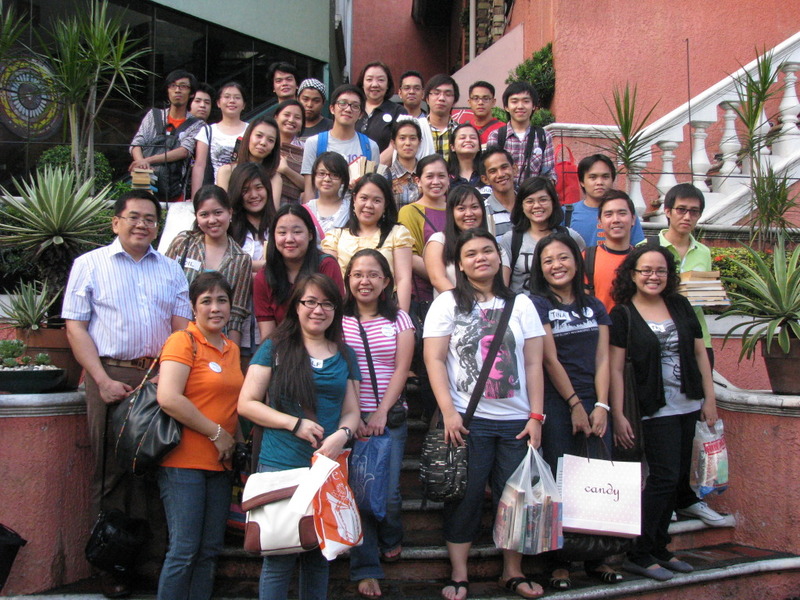 And because of this, peace reigned. 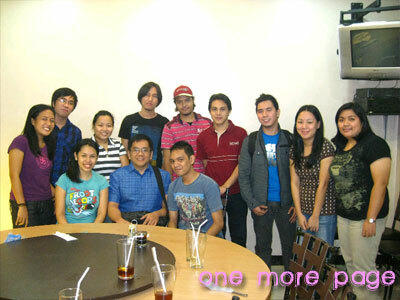 480 years later, we meet Rom Sebastian, a simple, ordinary man who sings songs for the dead. On his way home from a funeral, he meets an old man who tells him of an Order called Keepers and leaves a vial of blood wrapped in a vellum with strange symbols. Citadel Guards caught up with them and to Rom’s horror, they killed the man. Soon Rom is on the run from the guards with his childhood friend Avra, confused and scared to why they were running away. When he decides to drink some of the blood in the vial he carried, long-forgotten emotion surface within him together with the fear that he has been so used to feeling: sorrow. Anger. Passion. And most of all, love. Early into the first pages of Forbidden, I couldn’t help but compare this book with Delirium by Lauren Oliver. Both books have the same premise and almost the same environment. 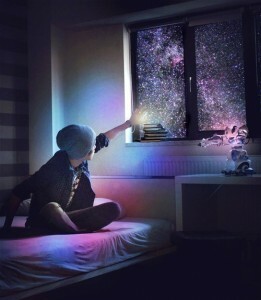 But where Delirium lacks, Forbidden totally makes up. The world building in this book is solid, so real, and contains the signature Dekker that I have known and loved. I found that the world building here makes the idea of a world operated by fear because of genetic means more plausible as compared to that where “love is illegal and I’d have to cut a vague area under your ear to get that love out”. This book had touches of Dekker’s Circle series, with the countries and royalties and guards and the people. The composition of the world contains both ancient and modern elements that somehow mesh together really well — from advanced alchemy to the hierarchy order of the Brahmin. This somehow gives the readers a clue that while it is set in the future, it doesn’t mean that it is actually advanced. Maybe the truth is, the world is going backwards because of the fear that the people were kept in. Add to the world building, we have the fleshed out characters, which I think is Tosca Lee’s expertise. I liked how different and conflicted the characters were — Rom with his good heart, Avra’s loyalty, Neah’s hesitation, Triphon’s bravery. Feyn’s wisdom, Sarric’s greed, Jonathan’s innocence. These all seem like typical character traits, and I have to admit that some of the characters’ actions were predictable, but I think they were able to give life to them. People may be a bit turned off with the jubilant exaltation of emotions that some characters did in the book, but I thought it was forgivable as they’ve never experienced emotion like that before. Taking the reactions of the characters in this context, it wouldn’t seem exaggerated but just right. These characters were also involved in the right amount of action that it made me cringe and be surprised a couple of times. 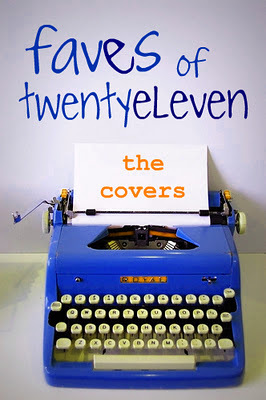 There was a particular part in the book that got me shaking my fist, but knowing I was in the hands of good writers, I know well enough to trust them. Forbidden is very, very good. So what’s keeping me from giving it five stars? Well, it may be just me, but I cannot shake off the similarity of this with the Circle series. Also, this book feels just a tad like a prequel rather than the real first book. While there is action, I felt the climax and the ending was just a little anticlimactic. Perhaps I was expecting more…erm, bloodshed there? Not that there wasn’t enough bloodshed earlier, but I just thought there would be more there. However, that may be just because Dekker and Lee are preparing us for the next book in the trilogy. And the ending really did leave a lot of loose ends that I’m sure will be picked up and played with in the next book. If you’re still not sure if you want to splurge on this, the authors have released a short story prequel to Forbidden, entitled The Keeper, available for free as an ebook. In this short story, a man named Talus meets two hermit monk brothers who he chooses to share the terrible secret that he has been carrying, to recruit them in helping protect the knowledge that will save humanity. This short story is a very quick read, and if you’ve read Forbidden before reading this, there’s really nothing much to surprise you here. However, I think that it gives those who have yet to read the first Book of Mortals a chance to taste Dekker’s world building and Lee’s characters. I have a feeling that reading The Keeper will make you want to know more about what this secret is and if Talus ever succeeded with his mission. Also, if you have read the Circle series (Black, Red, White, Green), you will spot a very familiar name in this short story that will probably make you say, “I knew it!” Then the story of Forbidden suddenly makes more sense. This is the mystery of it. Life is lived on the ragged edge of the cliff. Fall off and you might die, but run from it and you are already dead! 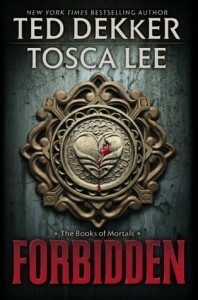 Forbidden by Ted Dekker and Tosca Lee is now out in paperback and hardbound in all stores. In the Philippines, I saw some trade paperback copies of it in Fully Booked. Must. Get. Finished. Copy! April was a busy month but it was busy for work! Gah, I am still buried in a ton of work right now, but of course I am procrastinating by blogging. 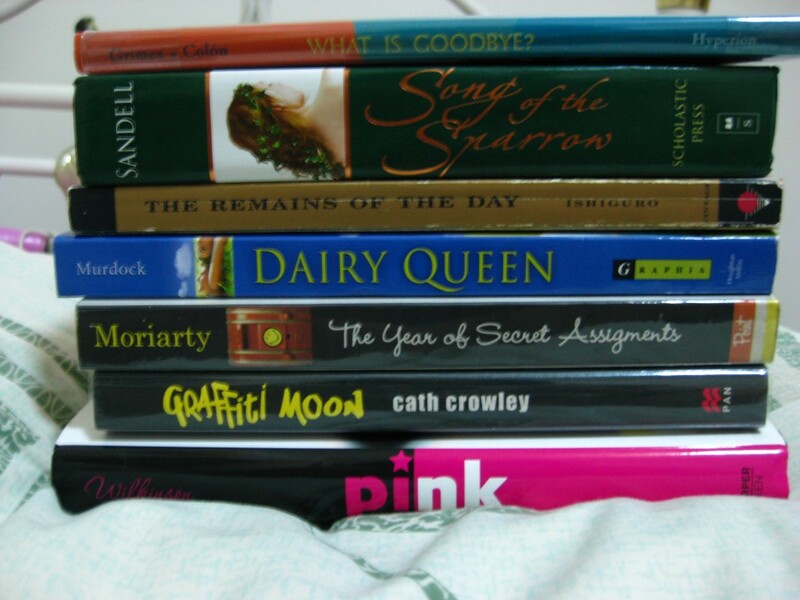 :P I thought the reading for April was quite good, though, especially since I got a long break during the Holy Week, and I was also sick almost half the month so the lack of gym time became reading time. Not bad, I guess? So what happened for Required Reading for April? The Screwtape Letters by C.S. Lewis – perfect Holy Week reading. Kind of creepy, but true to C.S. Lewis style, definitely thought-provoking. 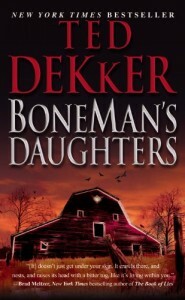 BoneMan’s Daughters by Ted Dekker – not as good as the old Dekker ones I love. Losing Faith by Denise Jaden – very quick read, entertaining, but it kind of lacked a bit of the tone that I was expecting it to have. Like what I predicted, one of them will take a bit of time to finish Mother Teresa: Come Be My Light by Mother Teresa, edited by Brian Kolodiejchuk because it’s non-fiction and it’s not really for quick reading. It’s a very good read so far, and I think when I’m done with this, I’ll hunt around for other biographies because they’re fun. I think I’ll be taking my time with this one, though. And now, we go to Required Reading for May! I am truly excited for the books I chose this month. They’ve been sitting pretty on my shelf since last year and I know people have been bugging me to read them. :D I realized it’s also just right, too, especially since I’ve been reading one contemporary novel after the other in the past weeks. This month’s theme is fantasy. The books! Would you kill an innocent man to save your daughter? He is called BoneMan and he is a father in search for a perfect daughter. He takes innocent teen girls and tries to make them love him and when they fail to be the daughter he wants, he breaks their bones without breaking their skin (or using a teflon hose). On the other side of the world, Ryan Evans thinks of himself as a failure of a father — after an especially harrowing abduction in the Middle East, Ryan comes home only to find that his wife and daughter had written him out of their lives. Then the BoneMan abducts his daughter, Bethany, and Ryan goes after him. Instead of helping him, though, the FBI finds evidence that points to Ryan as the BoneMan, and he becomes a hunted man. Desperate, Ryan Evans set out to go through hell just to save his daughter. 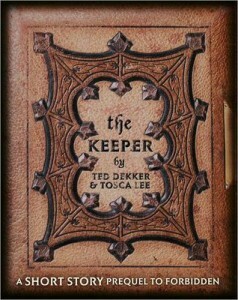 I’ve been a fan of Ted Dekker since I read Thr3e, which I think is also one of the first books I reviewed on my old blog. I liked the fact that he wrote Christian suspense and back then, I was having a hard time looking for books with the same themes. I meant to read more of his books but he writes and comes out with new books faster than I can get my hands on them and read them. I’ve had BoneMan’s Daughters for a while now but I never got around to reading it. I’m not sure why, maybe it’s because I was concentrating more on YA and chick lit instead of suspense. I did kind of look forward to reading this, thinking that it would be nice to go back to Dekker’s world. True to form, BoneMan’s Daughters has everything that Dekker offers in his other books. Not that it’s repetitive, but it’s exactly what you’d expect in a Dekker book. There’s the psycho serial killer whose point of view we get a glimpse of every now and then, the father who would do everything to save his daughter, and the police who are willing to help but don’t really know what to do. In a way, it’s almost like reading a CSI episode — I can easily imagine Mac Taylor/Gary Sinise as Ryan Evans. Dekker is also still very descriptive, but not too much that it gets gross — just a tad disturbing, enough to make you look over your shoulder or wonder at the things that bump at night, or develop an aversion to Noxzema, in the case of BoneMan’s Daughters. It’s still very well-written and you know in the end that the good guys will still prevail. That being said, however, I felt that this wasn’t really at par with the other Dekker novels I’ve read. I thought some parts were a bit repetitive and I wanted to skim some parts that felt a little unimportant to me. The ending wasn’t as satisfying as I thought it would be, either — and I felt that there wasn’t much change in the characters as there should be. The Christian concept wasn’t fully explored, too, IMHO, and you’d need to read the author’s afterword to know why he wrote the novel (that story, I loved). As good as the details were done in the emotional and brutal scenes, the overall story kind of lacked. 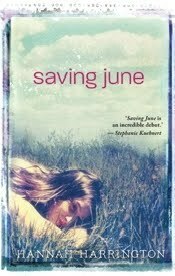 In the end, I was just happy I finished reading it, not because it was such a good story. I’m kind of sad that this latest Dekker read is kind of disappointing compared to his other books that I really liked. I will still read his other books, of course, and I’m hoping one of them will be as good (or even better) as Thr3e or the Circle series.